So do you still send Christmas cards? We are a household of traditional card giving (sans 'traditional' postage costs) and every year I write them out, hand write addresses and write the sender address on each one. In fact, every time I send something in the post, I write a sender address. It got me thinking that maybe I could invest in address labels to make life that little bit more efficient but I decided I would prefer something a bit more eco friendly. I decided a good way to go would be an address stamp. They don't have to be just for businesses surely?! So I got researching. I wanted something efficient, something beautiful to add pretty to my desk as well as my letters and cards, to let everyone know our new address following 'the big move' this year, but something slightly formal so I could use it on forms. Having researched a few options for custom address stamps, I found a beautiful website, The English Stamp Company. This site was easy to navigate and I got completely distracted by lovely pictures and different design options. Once back on task, I quickly and easily set up my account (obviously I would need this for feature use) and found the kind of stamp I wanted. I'm not big on decision making so I was happy to find that there wasn't too many font and design options to freak me out but enough to offer choice and enable a lovely custom address stamp. I quickly chose a font, size, (I didn't pick a border) and the option for a handle. I added it to my basket and began searching the choices of ink pads. This bit was more difficult for me as there was a lot of choice but for someone who likes a lot of choice or needs something specific, it is perfect. 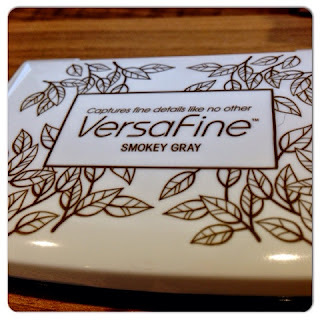 Happily, I had been consulted by a helpful member of staff about the kind of ink that was ideal for the detail in address stamp so I went for VersaFine in smokey grey. In my hunt I discovered a raised ink pad also in grey that was ideal for embossing so I popped one of those in my basket too for a bit of craft experimenting. Naughty I know. More about that one later. The whole shopping experience was quick and easy and was only let down by the fact that you couldn't (or I couldn't) click on the address stamp to go back and double check the design. If you're happy it was good before you added it to your basket then this isn't a big problem. I'm just a big double checker. Another bonus was that delivery was free for orders over £15. Order placed, I waited for my parcel to arrive which didn't take long at all! Having ordered the stamp on the Tuesday it landed on my mat on Friday morning. 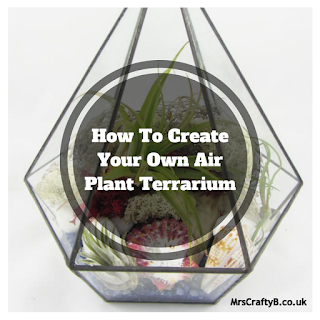 Perfect for a bit of weekend crafting. The items came in a large white jiffy bag although the stamp was not individually wrapped. Here is my lovely custom address stamp with a handle! I quickly got to work deciding on my Christmas card designs, having a go at some embossing (coming up in a different post!) and playing with my new address stamp. I used both ink pads for comparison of the VersaFine ink. I noted that the pad felt very different when inking the stamp. For obvious reasons I can't share the full address but here is a close up of the results of the different inks. The top one is VersaFine. You can see that there really is a difference in the detail. Although both pads were 'grey', there is a notable difference in colour. 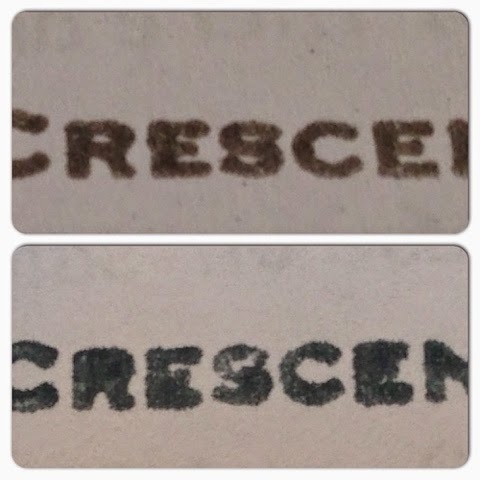 As I couldn't share my full address, I used a pre owned stamp to demonstrate the difference a bit further. The VersaFine ink here is the bottom one here. It really does produce a much clearer and sharper result. 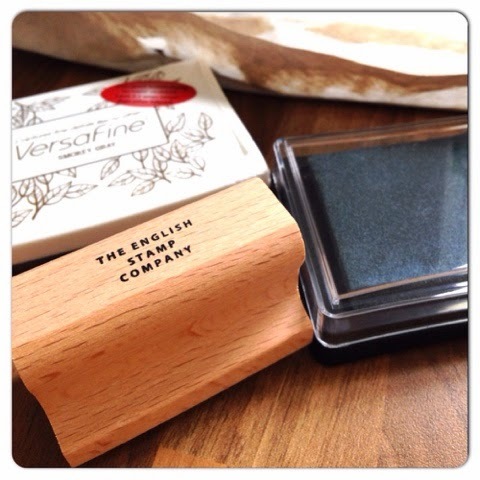 It is safe to say that the process of acquiring a personalised address stamp was easier than I thought it might be. 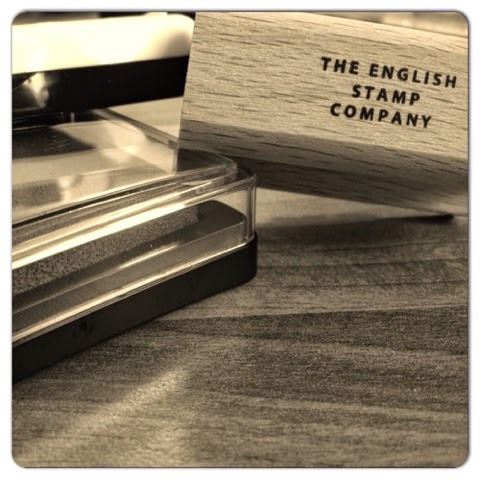 The English Stamp Company were helpful when advising on the inks and the order was easily placed and quickly received. I would add that the beautiful brand image apparent on the website was not upheld through the packaging. The results of the stamp itself are surprisingly clear for such small details on a rubber stamp especially when used with the VersaFine ink. I highly recommend using the VersaFine ink with the stamp for the best results. 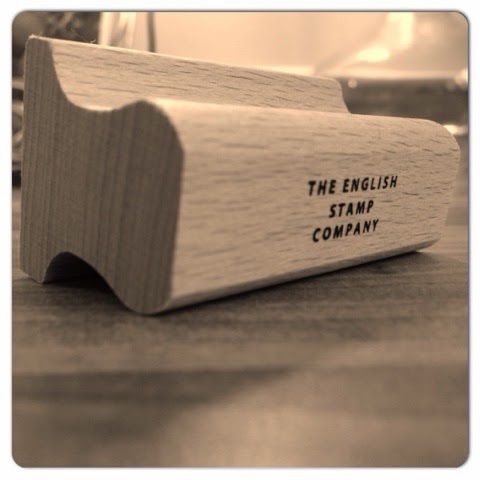 The English Stamp Company has an amazing range of beautiful stamps and the choice for custom options. You are certain to find some great stocking fillers here for almost anybody. What child wouldn't love a personalised stamp? I am making a trip back for the boys and I'll be dropping some hints because there are some lovely options for any crafters stamp stash! 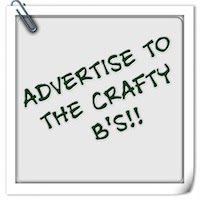 In fact Crafty B's, you may as well pop and treat yourself whilst you finish of the last of your Christmas shopping. 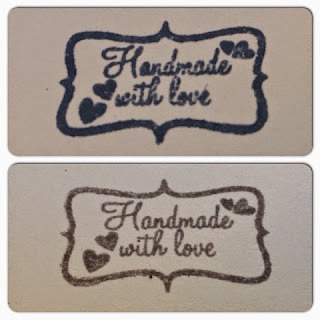 You'll be needing to add some lovely gift tags to your presses with a personal touch! *The products featured here were subsidised by the English Stamp Company for the purpose of this review but all opinions are my own. Stamps good thing, but not for everyone, it is a mandatory attribute for some people. I recently found a good essay about the stamps and their necessity. I advise you to refer more often to such resources essay writing service. 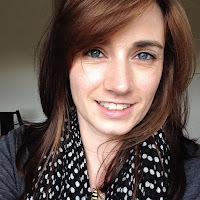 They will help you with your articles to blogs and do it very effectively. I`m sure this book will be of interest to my mother. She loves Indian culture and movies. But I order such reviews of books on this site Paperhelp.org. In such a case readers read the text of a professional and they are interested in more.